What is it about forests? It’s no secret that I love them. In Germany, where I spend a lot of time, the area I visit is full of them and I love walking there. In early autumn picking mushrooms and later watching the leaves turn from green to all the glorious shades of gold and brown. In winter driving along narrow roads, forest on both sides, passing through a tunnel formed by the boughs of trees laden with snow. Sometimes we try to walk through as silently as we can in the hope of catching sight of a passing deer. I always take my camera in an attempt to capture some of their enchantment. I find them both enthralling and inspiring. The forest symbolises somewhere wild, where you can escape civilisation for a while, yet it is full of hidden dangers at the same time. 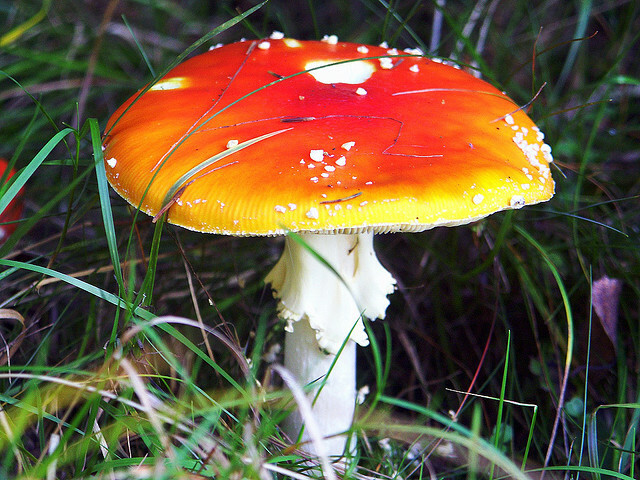 Even the act of picking mushrooms is fraught with danger unless you know which ones are safe to eat! In ancient times forests covered much of Europe, and Germany still seems to have retained much of its woodland, while here in East Anglia, where I live, they are few and far between. Have we become too ‘civilised’? In 1812, Wilhelm and Jacob Grimm published their collection of German fairy tales, commonly known as Grimms Fairy Tales (or Grimms Elfenmärchen in German). 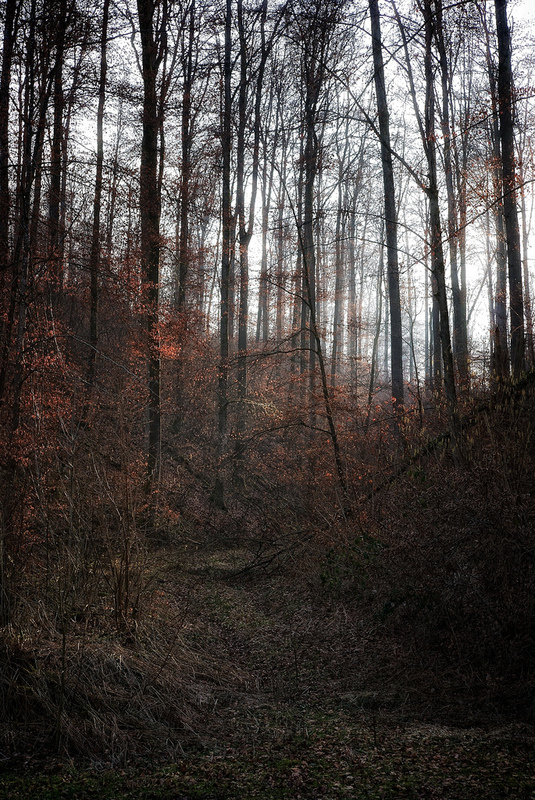 Of course, in Grimms tales, the forest is always present. It’s the place where Hansel and Gretel find the cottage of the wicked witch and where Little Red Riding Hood comes across the wolf on her way to her grandma’s house. 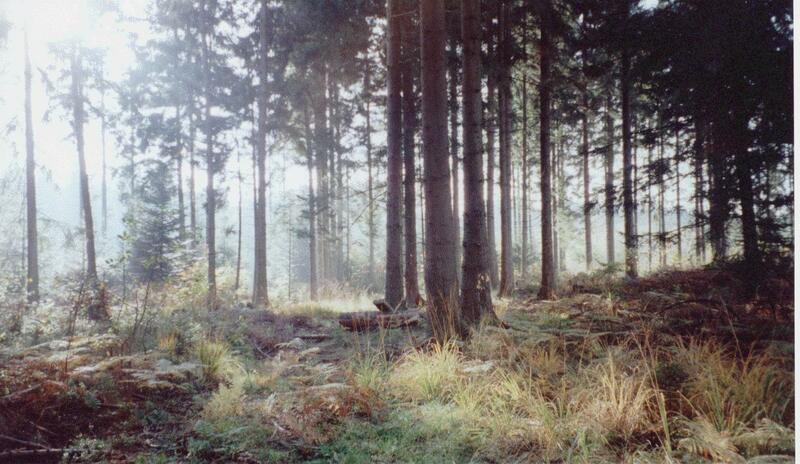 Forests appear in many myths and legends too. Take Robin Hood, for example, where the outlaws hide in the forest. Story tellers throughout the ages seem to be obsessed with them and I suppose I am no different. In each of the Agnil’s Worlds books, the forest plays an important role. In ‘The Rise of Agnil’, it’s the place where Agnil meets the strange old man who comes to play such an important role in her life. In ‘Agnil and the Wizard’s Orb’, the Frozen Forest of Boreas is where Agnil and Estil are placed in mortal danger. By contrast, the forest of Lilurrian in ‘Agnil in the Tree Spirits’ is in danger itself and Agnil’s quest is to save the home of the tree spirits. If you are interested in reading more about the symbolism of forests in fairy tales, look no further than this article by Justine Gaunt.